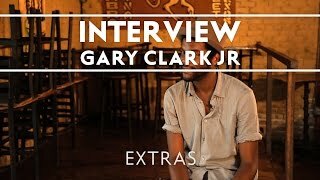 Gary Clark Jr. is an American guitarist and actor based in Austin, Texas. Described as being the future of Texas blues, Clark is "influenced by blues, jazz, soul country, as well as hip hop". Check out his guitar rig - the amps, pedals, effects, and more Gary Clark Jr. is using to create his unique sound. What kind of Guitars does Gary Clark Jr use? Click here to let us know! "I just recently got two "Blak and Blu" Casinos which I'm so stuck on at the moment. They're all so amazing. 'Blak and Blu' with a Bigsby! They're a dream." Also interviewed by Premier Guitar, he describes the guitar which has not changed since the Epiphone interview. He describes the combination of hollow-body and P-90 pickups gives it "round, pretty tones" especially with the neck pickup. "At first, the Gibson ES-125 kind of changed my world as far as introducing me to the hollowbody sound. And then from there, I had my eyeballs on Casinos for a while until I finally got one." "I think I got my dream guitar. It's a '67 Gibson 330. I'm way into that instrument. I got it at Rivington Guitars in New York, just shopping around. It's a fairly new purchase, so I didn't get a chance to use it on the album. I still haven't decided if I'm going to play it live. It might be one of those things I keep to myself." Gary's gear has also been checked by Rebecca Dirks of Tone Report. Gary uses "D'Addario 10s or 11s, depending upon the guitar, medium Dunlop picks, and Dunlop glass slides" on this guitar for the song "Numb". Gary's tech, Dave Holman, was interviewed by Premier Guitar. He says that the ES-330 was his main guitar, but has been used with a harmonica. The guitar is described as also having a much softer sound. In the Christmas of 1996, at age 12, Gary Clark Jr's received his first guitar, an Ibanez RX20 electric. "As soon as I got a hold of a guitar, my grades suffered. My parents were telling me, 'Keep your studies up,' but I felt I was getting the best education possible down in the clubs" says Clark. "I'm playing the Dobro Hound Dog, too. I played it in London and that was really cool." When asked if he was still playing the Masterbilt EF-500RCCE on stage as a main acoustic guitar Gary Clark Jr said, "I am actually." 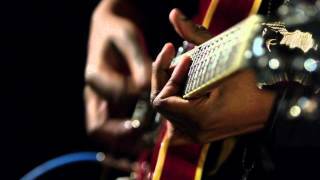 Gary Clark Jr. uses a Fender Telecaster in this video. We think it's an American Special Fender Telecaster in vintage blonde with a white pickguard. "King Zapata complements Clark's semi-hollowbody tone with his main guitar, a refinished 1963 Fender Strat. A Strat guy ('I'm from Austin,' he says, matter-of-factly), Zapata found something special in this guitar. 'It's just one of those guitars that everything works on—took me a long time to find that. It sounds good in every pedal, not a typical Strat sound…you can hear my fingers, you can hear me'". The video in this article, displays Gary Clark JR's Epiphone. At the top of the article, it states, "NPR is featuring audio from Gary Clark Jr.'s show at the Newport Folk Festival last weekend where Gary rocked the crowd on his Ltd. Ed. 50th anniversary '61 Reissue Epiphone Casino." There's a clear shot of Gary Clark Jr holding his Gibson SG 1961 Les Paul Tribute, at 0:24 in this video. Taken from an interview by Tone Report. Gary Clark's technician, Dave Holman, was also interviewed by Premier Guitar. He says that this was an American made guitar sent to Europe as b-stock due to it not being up to Epiphone's a-stock standards. The body has a burl top that's been sun-faded due to long exposure in the sun especially around the pickguard which was removed, revealing the original colour. Originally, this was a number one guitar for Gary, but has been replaced as a second. Gary's number one is currently a Gibson SG. 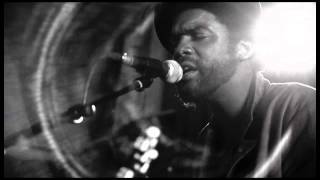 In this video of Gary Clark Jr performing his song "If Trouble was Money", one can see him playing a Fender Telecaster in a Butterscotch blonde finish with a white pick guard, at 0:36. Gary Clark Jr. uses a Fano JM6 in this video from Bonaroo 2015. It looks like the Olympic white version. Gary's guitar is made from a mahogany neck and body A mahogany neck and has a pair of Lindy Fralin P-90s in it. The all new Gary Clark Jr. Signature SG guitar captures the spirit of creative inspiration. Finished in an exciting, vibrant Gloss Yellow and featuring a trio of aggressive Gibson P90 pickups, this guitar embodies the organic and sonorous sounds of one of this generation's most influential guitarists, vocalists and songwriters. What kind of Amplifiers does Gary Clark Jr use? Click here to let us know! As discussed in the video interview, Gary Clark Jr. uses a 1970s Fender Princeton Reverb. “I was sitting in with this guitar player in Austin I knew—Alan Haynes—and he let me check out this Vibro-King he had just bought... Before I got off the stage I knew I needed one. Zapata had one, and he really didn’t like it, so I snagged it up from him quick. I love how it breaks up. It’s really chunky and nasty, and it has very pretty-sounding reverb, too." Gary Clark Jr. preformed a show in Rome using a cream-colored Fender Super-Sonic 112 Guitar Combo Amplifier. No I didn't bring my Vibro-King, I brought a head, so I'm just putting that through the Twin Reverb and the Princeton.  At 4:03, you can see all three amps together. 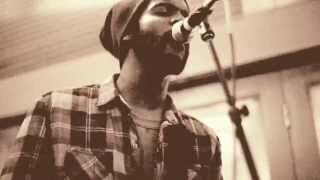 What kind of Effects Pedals does Gary Clark Jr use? Click here to let us know! Gary Clark Jr's gear is on Equipboard.